Our varietal selection was the biggest challenge. Key consideration was given to selecting early ripening, disease resistant varietals. We had already started cuttings of Marechal Foch (an early, disease-resistant red) before moving to Cowichan Bay. For the remainder of the vineyard we chose newly developed hybrids just released from a breeder (Valentin Blattner) in Austria. In addition to 500 Foch cuttings, we planted 1000 hybrids nicknamed “Cab-Foch” after their crossing between Cabernet Sauvignon and Marechal Foch. We also planted 600 white hybrids, still experimental, which are just numbered, not named. So we have “#2″, “75-8″, “75-7″, and “48.05.49″. Why would we plant our vineyard with unproven experimental varieties? Because there are few, if any, white varietals truly disease-resistant. If we can help prove the viability of these new selections, we can help the industry become more sustainable. Disease resistant plants mean less spraying with fungicides; therefore our second vineyard can be organically grown. Vineyard layout is similarly unorthodox. We space the rows much wider than is commonly found in commercial vineyards in the Cowichan Valley. We also aligned them with the slope on our property to maximize air flow, which in turn reduces disease pressure on the plants. We plan to keep the space between our rows green, allowing natural species to maintain a healthy ecosystem. We don’t plan any permanent irrigation system, after establishing the grape plants, we will force them to find water in the aquifer below us. After all these years, we have had no real issues with water even through the toughest of droughts. How do we ensure sustainability in our winery operations? A key component is in designing sustainability at the beginning. When we moved from Ladysmith to our new location in Cowichan Bay we had a chance to incorporate some eco-friendly ideas into our winery building. We use a tankless water heater, as we use hot water infrequently, but when we use it, we use a lot. We also keep our building heat on only minimally during the winter. During the coldest spells we kept the heat on at 7 degrees Celcius; but in milder conditions, we turn it off altogether and let the temperature hover just above freezing. This reduces the energy required to keep the building warm, but also helps with the cold stabilization of the wines. Our energy requirement is kept minimal, and the entire winery building is fed from a tiny 60 amp circuit. Our trellising will be steel, staying away from pressure treated wood, which introduces chemicals into the vineyard, and require replacement, unlike the materials we will be using. Our trellis design will be Geneva Double Curtain, which allows a high-hanging growth habit, which is suitable for the Foch and Cab-Foch hybrids. We also designed the vineyard around the existing ecosystem as much as possible. A buffer zone was left around two spring-fed ponds, with the existing trees and shrubs left to allow a haven for birds, animals and insects in the middle of our vineyard. We frequently see herons, eagles, hawks, geese, ducks, and many other smaller birds attracted to the natural areas we left untouched. Our vineyard is now slowly getting to full production but we are implementing measures to ensure it is sustainable. Minimizing our carbon footprint; reusing, reducing or recycling waste materials; selecting material that is less harmful to the environment is our goal. In the vineyard, we use the tractor only when necessary. Most of the work is done by hand, and we don’t have any vehicles in the vineyard except when required for the task at hand. Getting around the vineyard on foot is both environmentally sound but also good exercise! We minimize waste wherever possible. When we needed pots for our cuttings, we purchased used pots from a local nursery. Vineyard waste (including pomace) ends up back in the vineyard as compost. All material that can be recycled is properly segregated and sent to the recycling facility. Our best practices are to use as few chemicals in our winemaking as possible. By hand-harvesting our grapes and maintaining very high quality standards we have very few chemical interventions in our winemaking. The low pH wines made from Vancouver Island grapes have the added bonus of requiring much less sulphites to maintain an adequate level of protection over the wines. Our red wines are fined only with egg whites, and the whites with bentonite (clay). Both are natural materials. By maintaining high quality standards in our fruit, we don’t typically need to use chemicals in our fining. 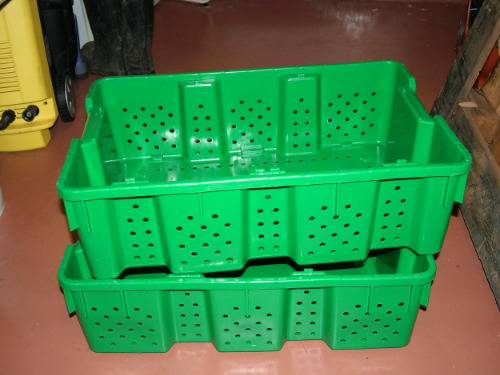 This reduces the impact on the environment and improves the quality of the wines. The wines do need to have a bit more care for storage and stability because of this. We also recycle wastes from the winery, and the organic waste from the winery is reused in the vineyard. We initially purchased all reconditioned barrels, which extend the life of barrels by an extra 50%. When our first barrels were finally no longer suitable for importing oak characteristics, we still use them to stabilize and impart character to our wines. There are 2 barrels that were given to the tasting room--one in the tasting room and the other turned into 2 planters on the patio.